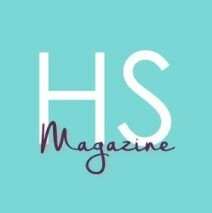 Full disclosure: I am the (proud) editor of The Handmade Seller magazine. 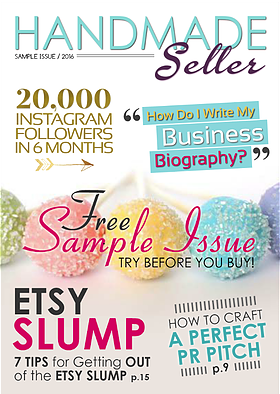 The Handmade Seller magazine is the brainchild of best-selling Amazon author Dani Marie (The Handmade Entrepreneur) and has been gracing digital displays since 2015. This magazine is unique in that it is the first completely digital magazine targeted towards handmade sellers. It is chock full of articles sourced from industry experts, clickable links, free downloads, and video tutorials. Our purpose is simple: A digital magazine that makes success attainable. Each month Dani Marie, Heather Jones (Director of Operations), Sarah Sewell (CEO of The Joyful Entrepreneur), and I wrack our brains and the brains of those industry experts to come up with the timeliest, accurate, and stimulating information to help you push your handmade business to the next level. How do I write my business biography? How I got 20,000 Instagram followers in 6 months! This free sample is twenty pages long and features two video tutorials. An average full-length magazine trends somewhere between 60 – 70 pages long. I’d love to know your thoughts on this sample and whether you are a current subscriber.